As any big city, Toronto offers its visitors a huge number of establishments, which serve delicious coffee. However, there are such places where you can just have a coffee, and there are such ones, where in addition to a cup of tasty coffee you can also work or relax, chat with friends or make new acquaintances, and also enjoy a lovely atmosphere of Toronto. So, check out some of the best Toronto’s coffee-houses right here. Recently, Mercury Espresso Bar has celebrated its eighth birthday. Being one of the most popular coffee-spots in whole Toronto, it attracts lots of visitors thanks to the unique ‘coffee americano’, as well as the ‘original espresso’. A special highlight of the establishment is the fabulous eclectic interior, giving the coffee bar a special mood. Ezra’s Pound focuses primarily on two things: the protection of the environment and the coffee culture. If the first item is no less important for you than the second, then you definitely should visit this coffee house. Due to the reasonable approach to work and the correct choice of all consumables, the establishment significantly reduces the amount of waste. 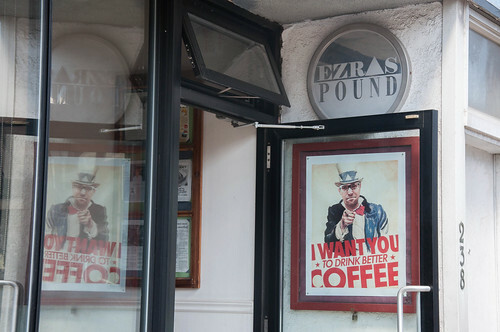 By the way, Ezra’s Pound was the first coffee house in the city, which started to use biodegradable cups for coffee. And the coffee at this spot is really worth your attention! Full Of Beans Coffee can boast of a truly rare antiques – a century-old machine for roasting of coffee beans. It’s used for the preparation of local coffee to give it a special hue. Of course, this coffee house buys only the best beans from around the world. In addition, Full Of Beans very often organizes the evening of comedy, poetry, music or literature, so you can not only enjoy a delicious coffee there, but also discover your own talents. This coffee house doesn’t have a website, a menu and empty seats! The Common attracts visitors thanks to a stunning espresso-based drinks served in a quiet, but not a sleepy atmosphere. It’s an ideal spot to enjoy a cup of invigorating coffee. Everything is common there, like the name of the establishment. But do you remember that ‘all ingenious is simple’? Saving Gigi successfully combines great music with excellent coffee. So, you can always relax in this cozy coffee house and enjoy pleasant sounds from a local collection of ‘vinyls’. And this is not surprisingly, because every year the owners of the establishment organize a folk festival there. In the evenings there’s traditional live music. All dishes from the menu are prepared exclusively from local organic products – no chemicals and no fast-foods. Only high-quality food, incredibly delicious coffee and lovely music! Simplicity and high-quality coffee – these are the major aims of the Café Olya. According to the owner’s opinion, you need only to serve delicious food and prepare good coffee to attract lots of visitors. And this banal truth certainly works. While many modern cafes are chasing for novelty and originality, Cafe Olya just performs its foreground task. As a result, this establishment is one of the most popular and most-visited coffee houses in Toronto! If you like not only classic coffee-based drinks, the Sense Appeal should be definitely added into the list of your next visits. This little coffee shop offers ‘experimental’ coffee mixing several varieties of coffee beans and searching for a unique flavor in each of the beverages. Sense Appeal is an ideal spot to make a break and relax in the cozy atmosphere and to enjoy the new flavors of seemingly well-known coffee! As you can see, each Toronto’s coffee house features something unique and special. 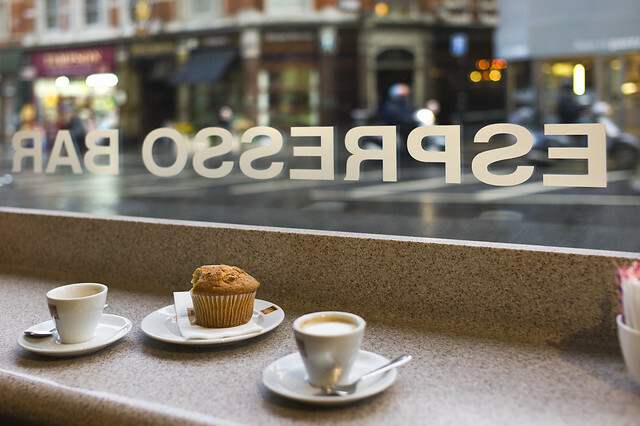 But even so, their general aspects are an excellent coffee, first-class service and reasonable rates. By the way, if once you travel around Toronto by using a rental car, you will easily reach any of these coffee spots much quicker by setting the corresponding GPS Position into the car’s navigational device. Author Bio: Lily Berns likes to explore new travel destinations and their hidden spots. She writes for rental24h.com, which helps to compare car rental from 800+ companies worldwide.